The inside story of his 2010 Senate primary campaign against Marco Rubio, where he learned exactly how vicious the Republican leadership can be. His journey from inner circle to persona non grata, thanks to his literal embrace of President Obama. His very frank opinions on Marco Rubio, Jeb Bush, Mitt Romney, Sarah Palin, and other top-tier Republicans. Why he believes that Democrats have the right vision for Florida and the nation. ? What he’s learned as a member of both parties and why he remains convinced that the two-party system can still work?with the right leadership. Rather than just rehashing his career, in this book Crist offers a focused indictment of the failings of the Republican Party, naming names and identifying where things went wrong. The Party’s Over is as far from ?politics as usual” as you can get. 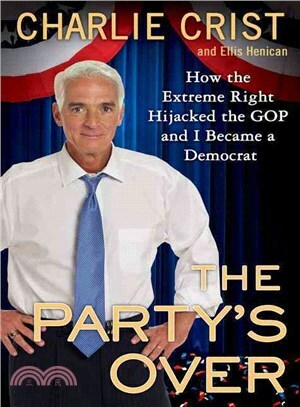 CHARLIE CRIST is the former Republican governor of Florida. After running for the U.S. Senate as an Independent in 2010, he began working with the Democratic Party. In 2012 he became a member. He lives with his wife in St. Petersburg.